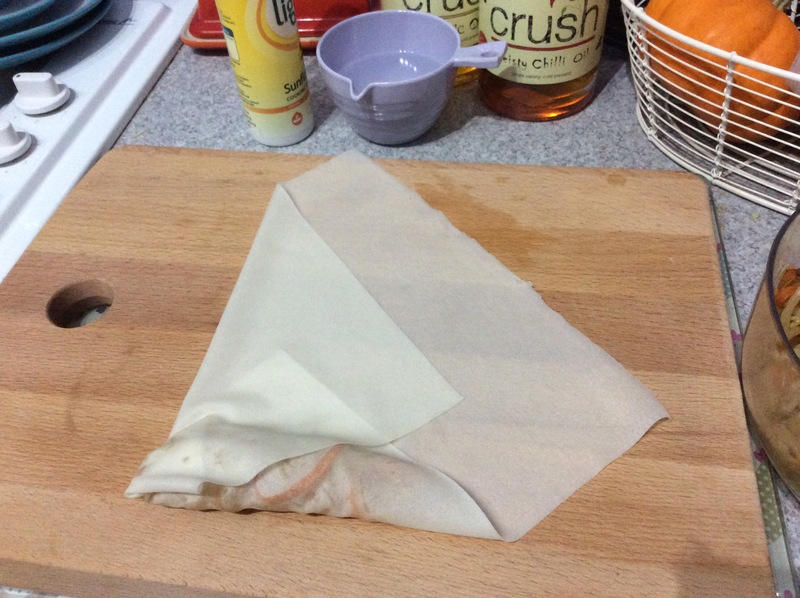 Months ago I bought some rice paper summer roll wrappers, I had a go at making them where you soak them and wrap them around the filling. But I thought, why stop there? I wonder if I can bake them or fry them and make them into spring rolls. 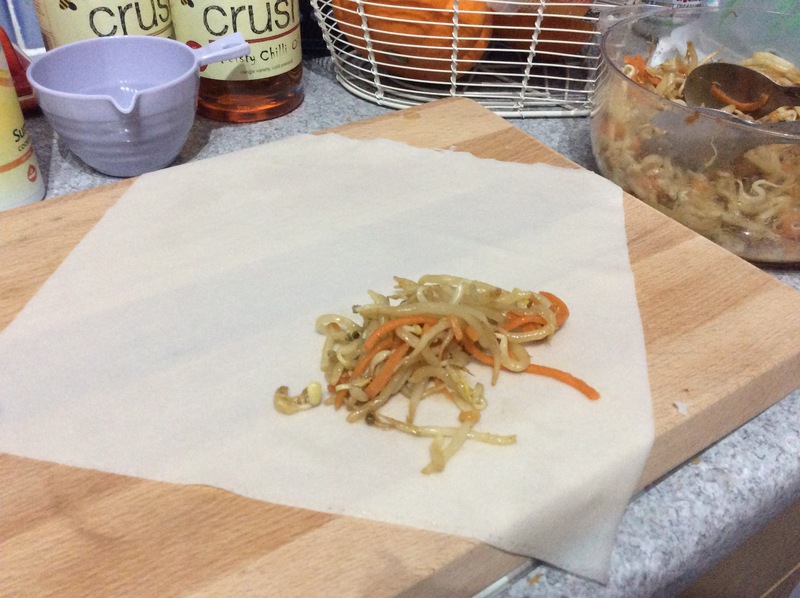 One long story full of exploding spring rolls cut short, no, they are not the same thing and no, that idea does not work! I was gutted and it made a real mess!! 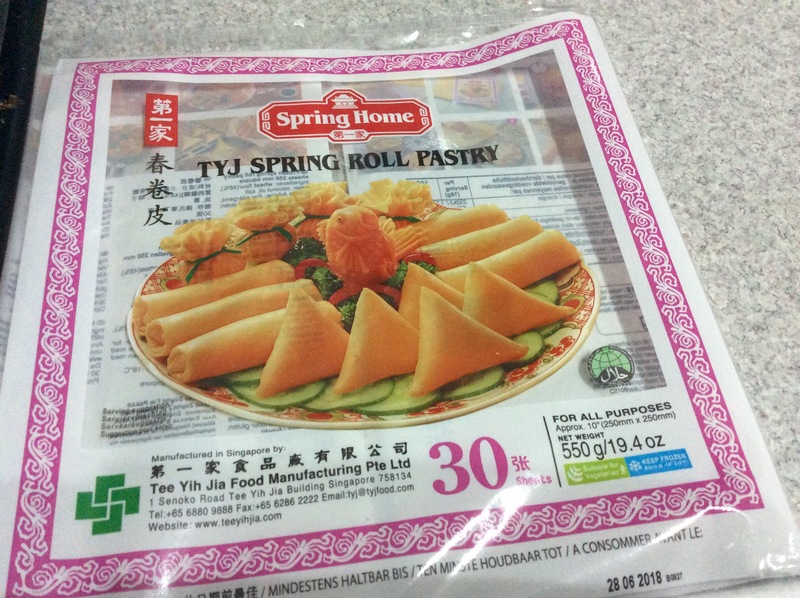 So you can imagine how excited I was to find actual spring roll wrappers in the frozen section in Asda of all places – and my pure glee at realising they were vegan! So first I thought I’d make a hearty, tasty filling to go inside them. 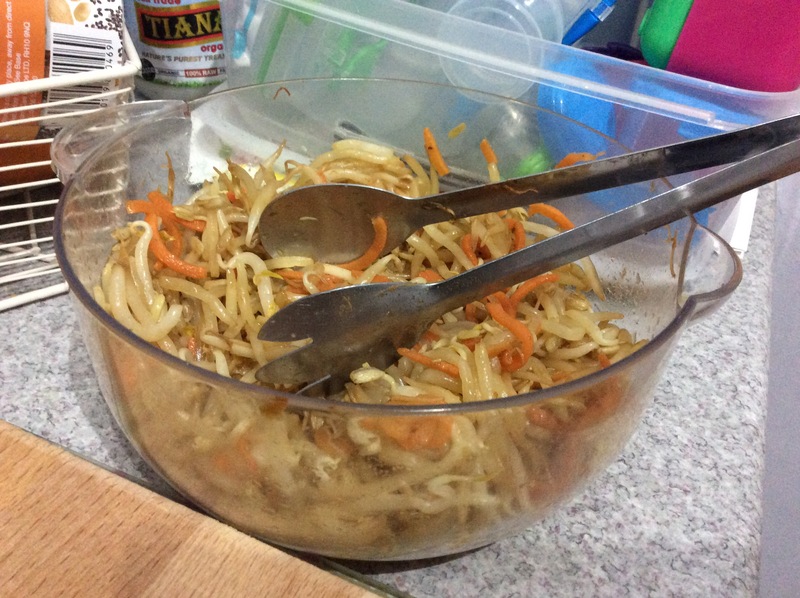 I took a bag of beansprouts and stir fried them with some sliced up carrot, a glug of soy sauce and some mirin and left it to marinade in the bowl. Next, I laid one of the wrappers out in front of me on an angle with one of the points towards me, so it made a diamond shape. 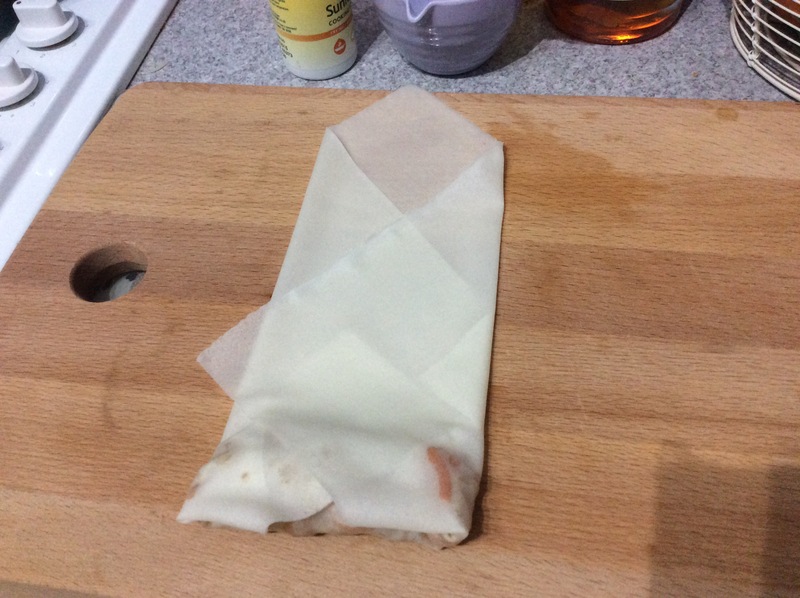 Then, I took a scoop of the bean sprout mixture and placed in towards the bottom on the wrapper in a small sausage shape. Then it’s time for the rolling! First you take the bottom point and fold it over the bean sprouts. 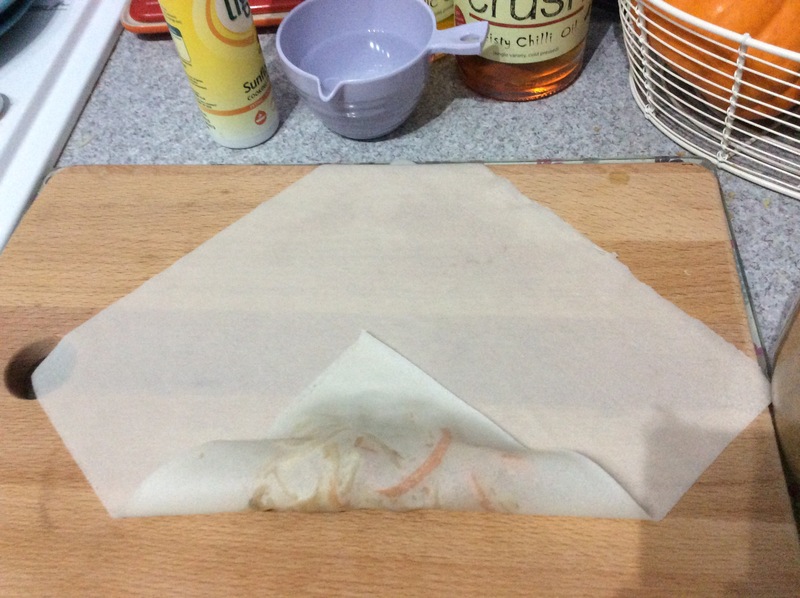 Next take the left side point and fold it across towards the right like I’ve done in the photo below. Next take the right point and fold it over to the left. Any little bits poking out like you can see in the photo below, just tuck it back across so it doesn’t stick out! 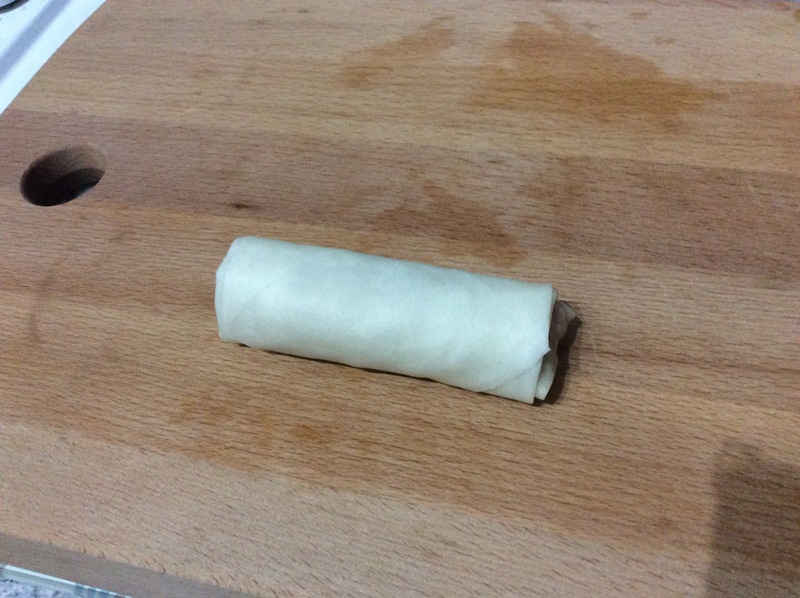 Then you take the little sausage at the bottom and roll it up! I tried to push out as much air as possible but I wasn’t too perfect about it and they all came out fine! As you get to the top dab on some water to help it all stick together. And there you have it! 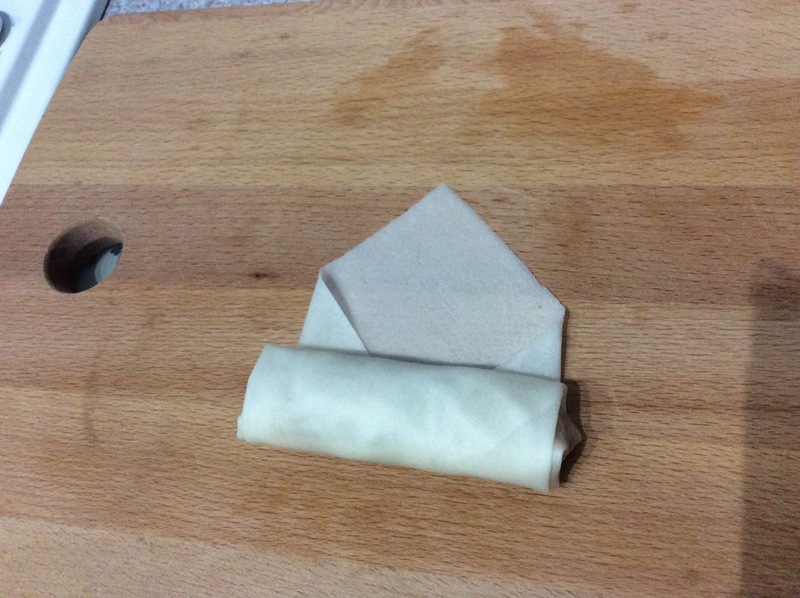 A homemade spring roll. Not rocket science really – but definitely delicious! I laid them all out on a baking tray that I had sprayed with oil to stop them sticking. I then sprayed them over the top too to help them go a little brown while they baked. 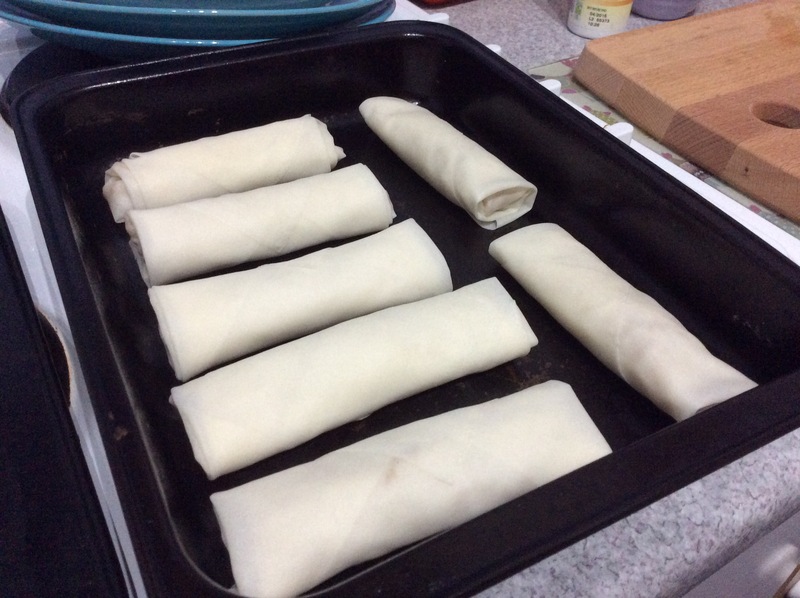 I cooked them in the oven at 190*C for about 25 minutes turning them over after about 15. But just cook them until then are gold-ish and crispy! YUM! I wish I had a picture of the final thing to show you but they were gone so fast! Hope you like them as much as I did!